Sift flour and baking powder into a large bowl. Cream butter and powdered sugar until light and fluffy. Add eggs one at a time, beating well after each addition. Add vanilla bean followed with half the flour, fold in yogurt followed by the rest of the flour and apples. Spoon batter into prepared round 12" diameter cake tin. 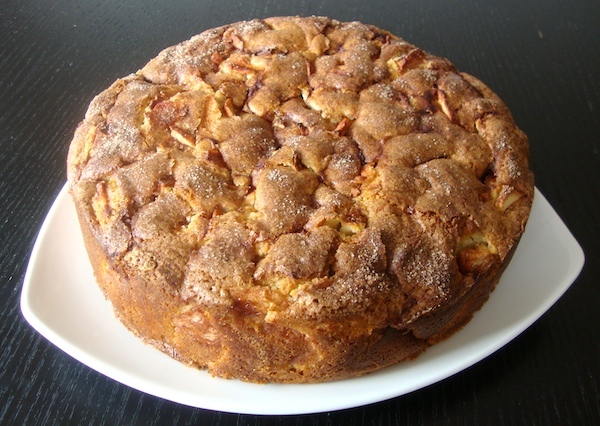 Combine 2 tablespoons of sugar with 1 tablespoon of cinnamon and sprinkle all over the cake. Bake for 1 - 1 1/2 hours or until a skewer comes out clean when inserted into center. Remove from the oven. 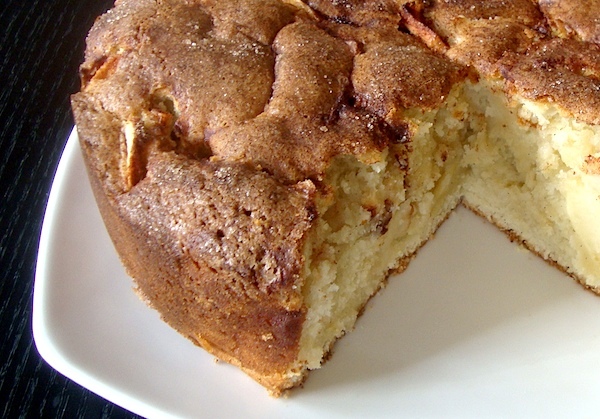 Leave cake in the pan to cool completely before turning out. Looks so good Mia! Gotta love the Kitchen Aid! Wonderful cake, Mia! I would so love to have a slice of it with a glass of milk, mmmh! Since I can't eat much of this during my current weight loss regimen, I'll just have to come here daily and drool! Looks amazing!